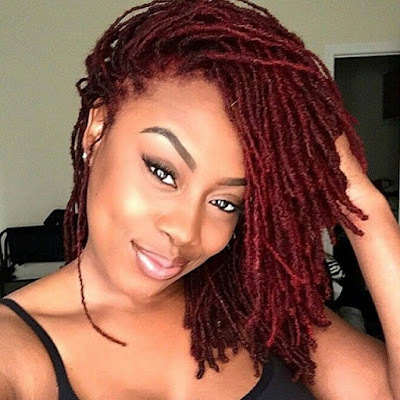 Just because your hair is short doesn't mean you can't fit "healthy hairstyle" and "beautiful" into one sentence. 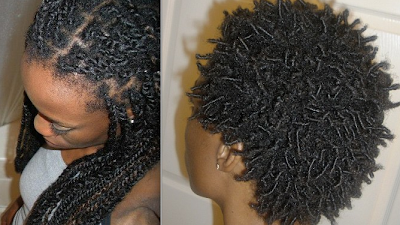 Twists do not have to be boring. Twistouts do not have to look crazy. Play your styles up with a beautiful clip, scarf, or headband. 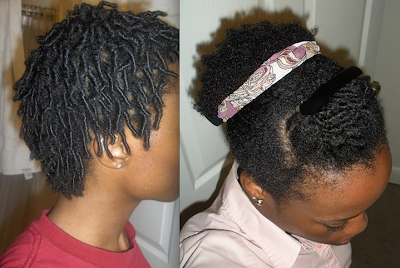 Put a spin on a simple twistout with partial cornrows in the front or a pompadour. Wear protective and low manipulation styles ... but HAVE FUN and FEEL BEAUTIFUL while you're at it! Healthy hairstyling does not have to be bland. I think we have the same texture but your hair seems thicker and fuller then mine at 4-6 inches which is where Im at now. I like all ur styles. 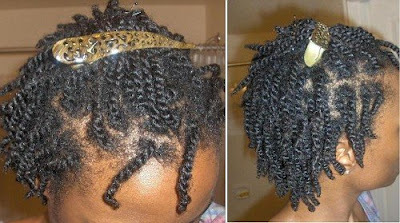 I wish I could feel more comfortable in bigger twist so I wouldnt have to spend ions twisting small..lol!! !